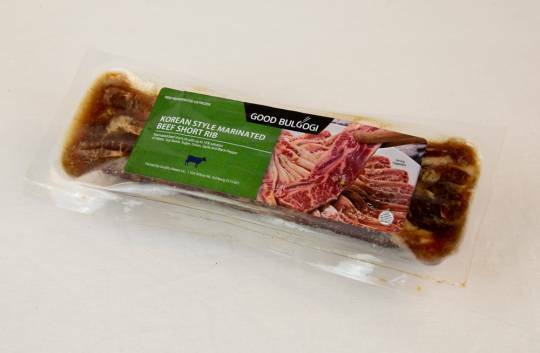 Kalbi (Korean Style Marinated Beef Short Rib) for grilling. One order has one pack (Approx. 1.65 Lbs, actual weight may vary plus or minus 10%). Marinated beef short rib with up to 15% solution of Water, Soy Sauce, Sugar, Onion, Garlic and Black Pepper.